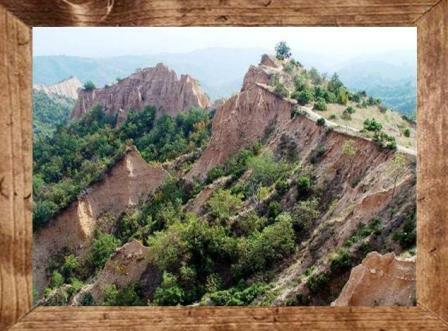 it is nestled amongst the lowest southwestern fold of Pirin. 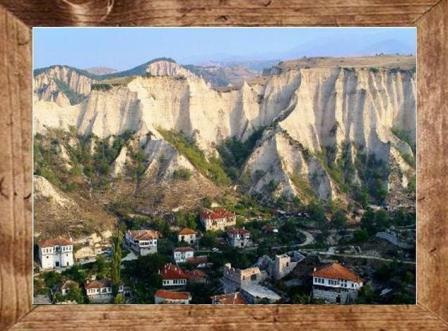 Melnik is a blend of unique nature - the cliffs clustered around the houses on the hills, history, culture and wine. The silent white houses, one upon the other, with beautiful bay-windows and silent yards, buried in greenery and tranquility of an aged glory and prosperity arise nothing but admiration. 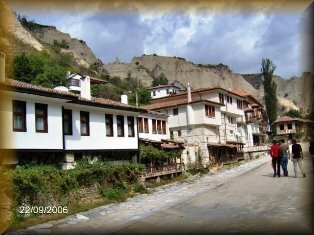 Very few people know that the picturesque town, snuggled between the hills today, was an important economic center once, with more than 25 000 inhabitants, about 1300 houses and more than 70 churches. Perhaps, it was the ancient Thracians that laid the foundations of the city. 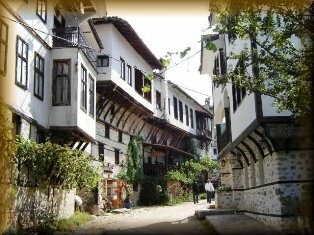 The cobbled streets have witnessed in a row the feet of Slavs, Bulgarians, Greeks, Romans, Turks. 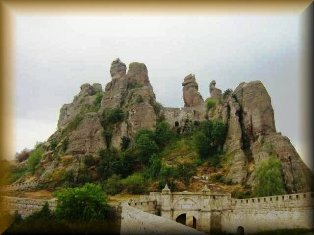 and there the famous Melnik wine ripens, matures and is preserved. Nowhere else can one find this technology. Neighboring Greece like far away France and Spain chose the taste of this delicious, dark-red, matured wine. Nowadays it has about 230 inhabitants. The ruins of the old-time splendor are sufficient to submerge one into the atmosphere of long past centuries. 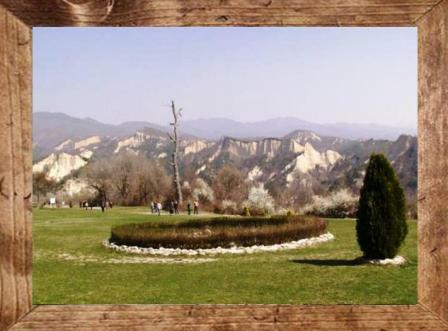 The climate of Melnik is favorable for medical treatment of chronic pulmonary, kidney and rheumatic disorders. 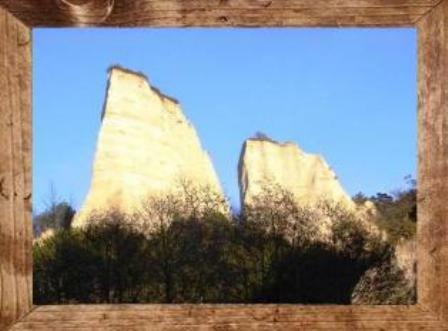 are a group of bizarre sandstone and limestone rock formations, reaching up to 200 m in height. 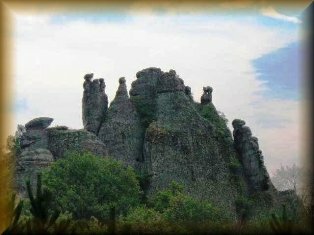 They form a strip, which is 30 km long and up to 3 km wide, and are located north of the western slopes of Stara Planina, near the town of Belogradchik in Bulgaria. The formations are a product of erosion. The rocks were declared a natural landmark in 1949 and are comprised of four independent groups. 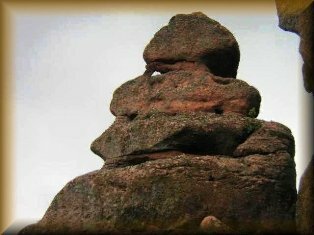 Every distinct rock is named after an object it is believed to resemble and the formations vary from red through yellow to grey in colour. 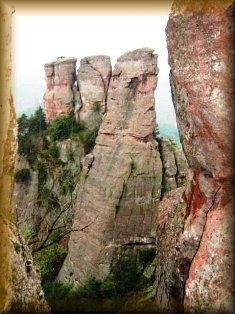 Over 100 caves - rich in beautiful formations, precipices and interesting fauna have been formed in the sand-stone and the limestone. 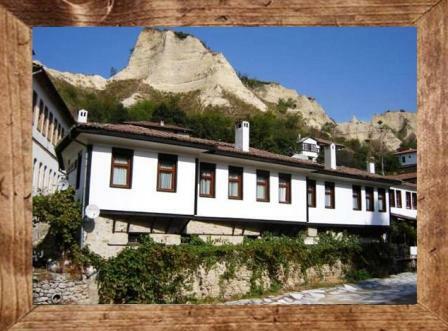 The most famous - The Magura cave (its length is over 2500 m) is well laid out with lighting, safeguard fittings. cover quite a big area of our country. 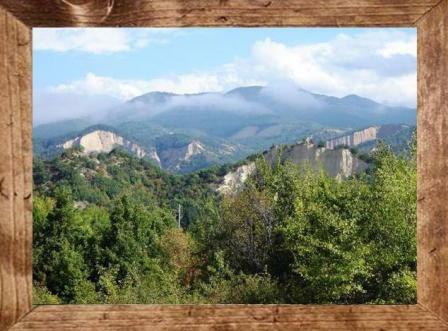 Except in the mountains of Rila, Pirin, Stara Planina and the Rhodopes, there are numerous reserves located in the plains and lowlands - Sreburna Lake, Ropotamo River, the village of Shiroka Luka and many, many more. 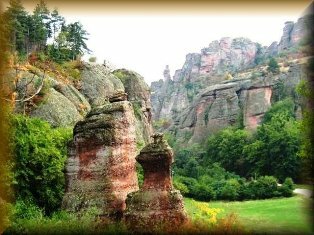 The plants and the animals in Bulgaria are extremely various. Coniferous and deciduous trees take about 29% of the area. Pine trees - 50 m high, are frequently met here. There are about 4000 sorts of water plants, 3550 sorts of seminal plants, 3550 sorts of mushrooms and many, many more. The fauna -25 000 species, is represented by does, deers, bears, foxes, wild boars, wolves, wild goats, squirrels, rabbits, turtles, polecats, minks, etc. We can find here lots of birds - woodpeckers, wood-grouse, eagles, falcons, herons, ibises, storks, swallows, gulls, pigeons, owls, bats, pelicans, etc. Other natural resources are the natural mineral springs - over 600, which possess different taste and curative qualities. That is why many balneotherapy sanatoriums are built near them.